Do you have people in your life where all you have to do is say one word or phrase and the result is deep belly laughter? I have a few. Some of those people are family or folks I’ve been close to for years. Some of those people are friends I spent just a few weeks with over the summer nearly twenty years ago. 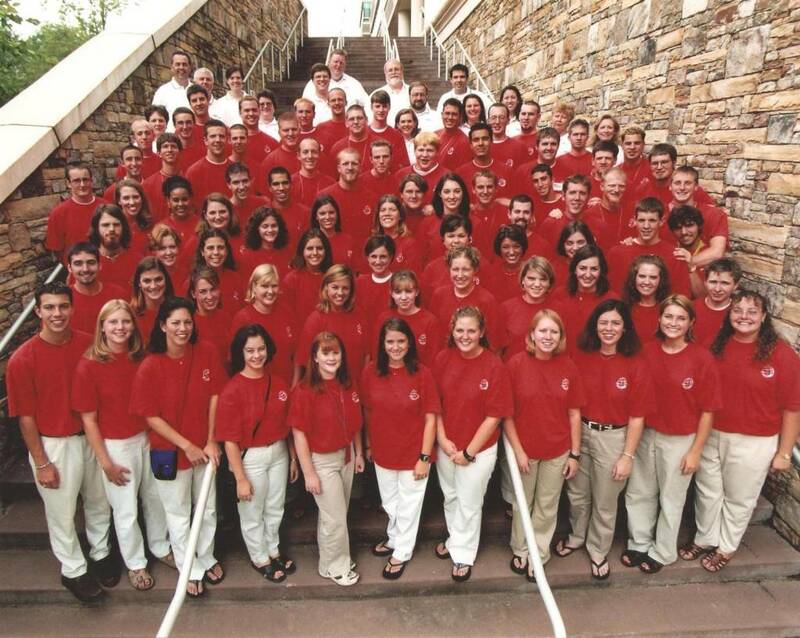 This group is the amazing people I served with on World Changers summer staff in 1999 and 2000. Many years ago we were placed together on these two summer staff teams to spend the summer doing missions. We didn’t pick each other. We didn’t know each other very well before the summer. We came from different places. We had different backgrounds. But, we all shared a common goal of serving the Lord with our summers and trying to accomplish the best World Changers projects we could. We worked hard together. We traveled together. We laughed together. By the end of the summer we could complete each other’s sentences… and sandwiches. We knew how to make each other angry and how to make each other smile. We prayed together. We even cried together a few times. God forged a bond between us that summer that lives on to this day. I haven’t seen my old teammates from those two summers in many years, but if I did run into any of them I know we would pick right up where we left off. That type of bond is created only when you do something that places you out of your comfort zone and forces you to rely solely on God. We were stretched together and that united us. If you are reading this and are thinking about applying for World Changers summer staff, I would encourage you to do it. I’m not saying your experience would be exactly the same as mine, but it might be. You might meet people who become lifelong friends. You might have experiences together that grow you in the Lord and take you to places you never imagined. The truth is, you’ll never know unless you try. I would concur with every statement here. I served Summer’s of 2000 and 2001. I havent seen or even spoken to my teams is over 15 years but the memories we made and the bonds we formed will always be with me. I would encourage anyone who is considering applying to apply. Your life will be forever changed. The best memories with the best people! The best life lessons learned. Absolutely unforgettable.